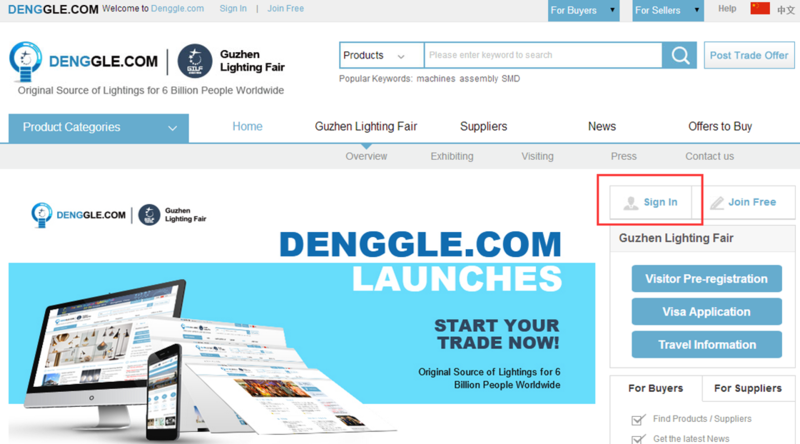 1.Log into http://en.jiagle.com/lighting/, and then click on the top "Sign in" button. 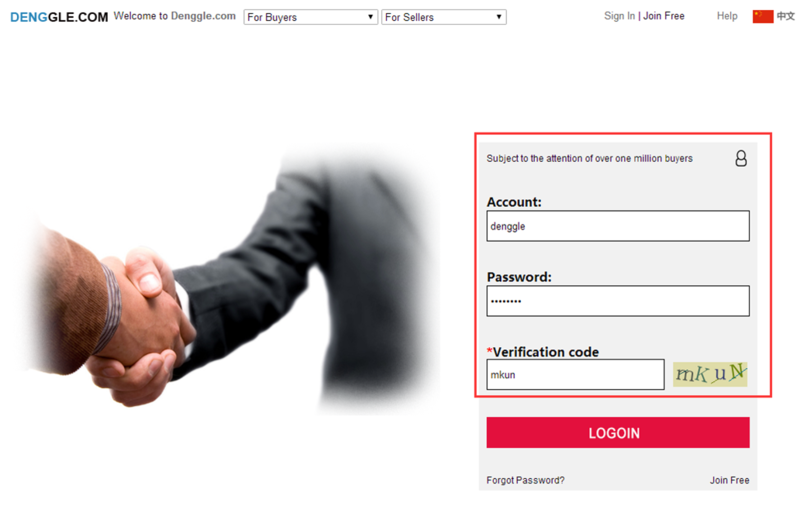 2.Fill in the "Account", "Password" and "Verification code" in the login box on the right, and then click on the "LOGOIN" button. 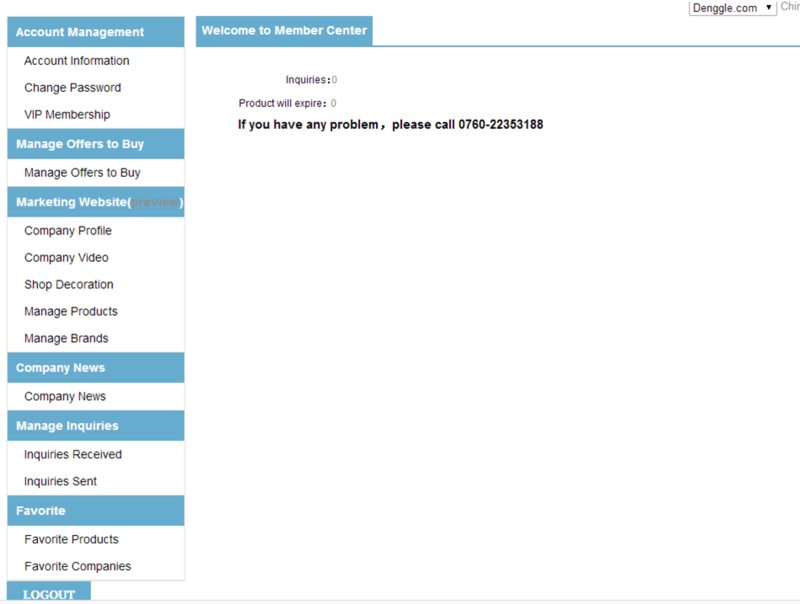 3.The user profile interface will be showed after logging in. 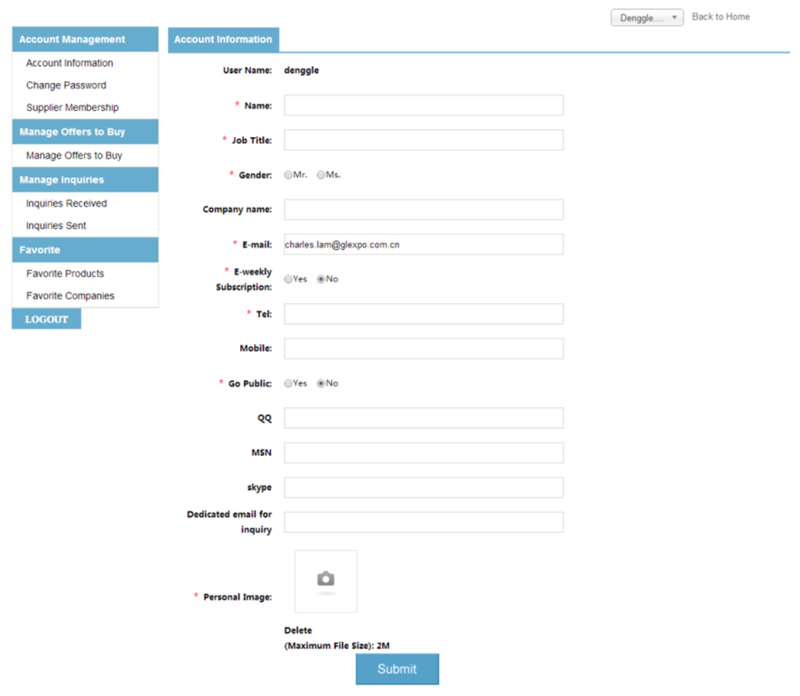 Basic functions on the left column include account management and purchase management. Ps: Here is about the newly opened account user, whoever have not managed to apply for a "supplier" can only use buyer functions such as collections of products and shops. So if you want to become a supplier with your own shop and present your products, you need to make an application for a "supplier". Regular users can have the permission into supplier operation without any more applications. 4.Edit your personal information in"Account Information " below Account Management, and the blanks with * are required. 5.Modify your password in "Change Password" below Account Management. 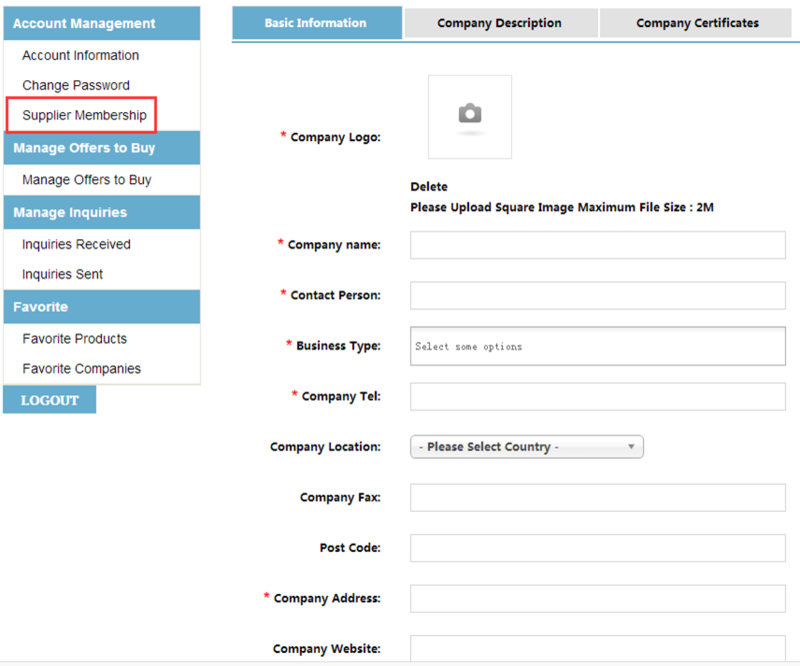 6.Complete the required contents of application for supplier qualification below Account Management . Company Logo：To ensure the logo displayed properly, please try to upload a square image, and the file size should be less than 2M. Company Name：Full company name should be filled. Contact Person：This information will be displayed on the Store Information page, and please fill the information about relevant employees. 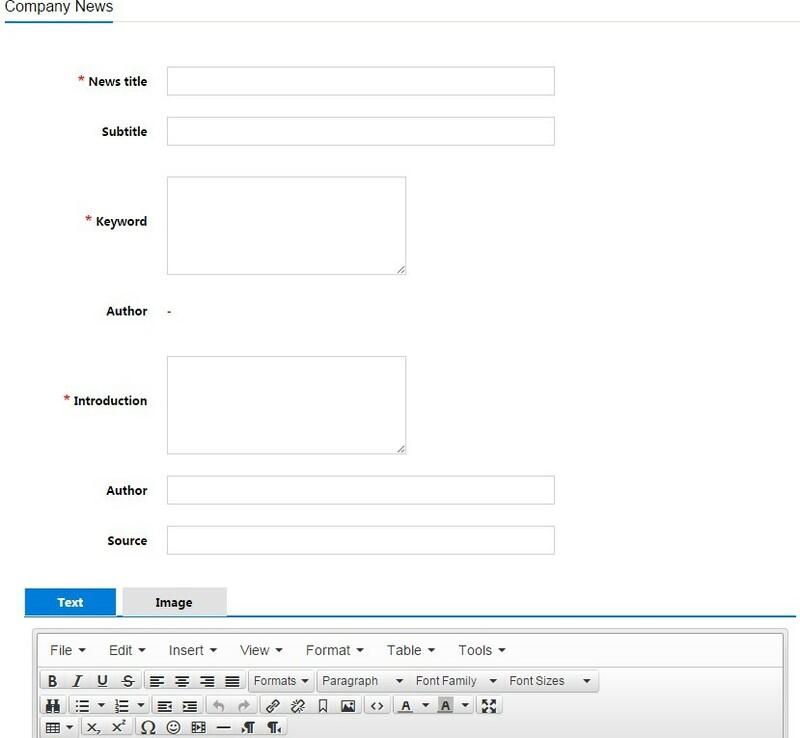 Business Type：You can select the provided type (multiple option ). Company Tel、Company Address、Year of Establishment、Registered Capital, and Main Products：Please fill with the real situations. Number of Staff、Capital Currency、Provide OEM service、Business type：You can fill them optionally. Ps: The blanks without * are optional. In this part, company information shall be introduced in detail, such editing work as editing the fonts and paragraphs can be made, and pictures and forms can be uploaded so that you can have a more detailed and intuitionistic reflection of your company profile. 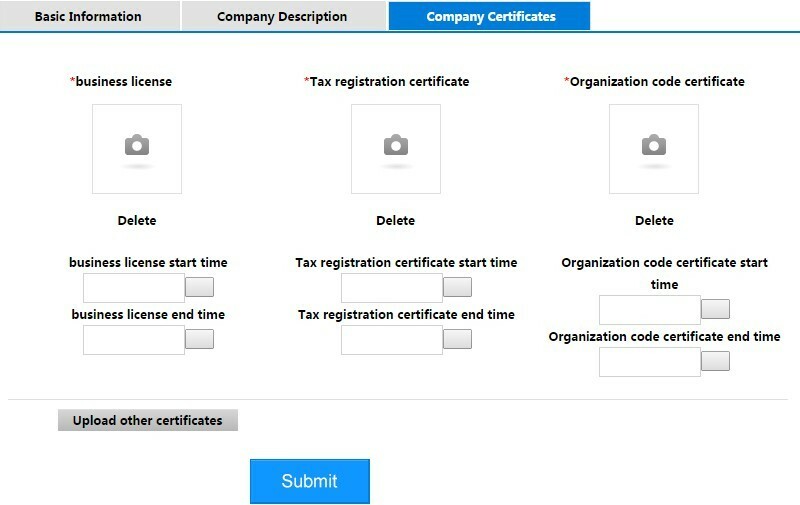 Business license, tax registration certificate, organization code certificate and their starting and ending times should be uploaded. After finishing all three parts ,click on the “Submit”button below and then wait for verification from our support staff. Once your application is approved, you will get the supplier permission to upload your company's products and start your own online storefronts. 7.With your application approved, you will see the following interface, and can edit your company profile, upload your products and make other operations in your online storefronts. 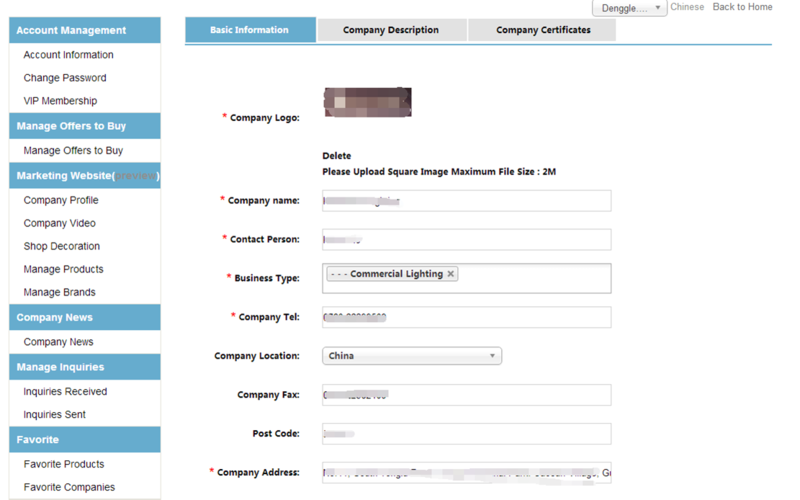 Company Profile like Basic Information, Company Description and Company Certificates can be modified here. Please upload your video onto http://www.youku.com first and then copy the address of the video into the below interface. 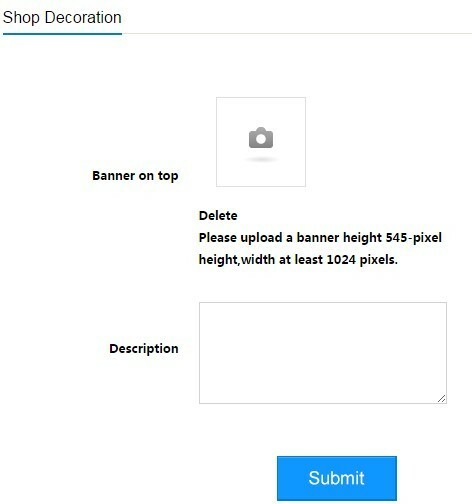 Upload the Banner-on-top of your shop here , and to show a clear picture of the publicity photos, please upload a bannwe with 1050-pixel width. All shops’ products are uploaded and managed here. 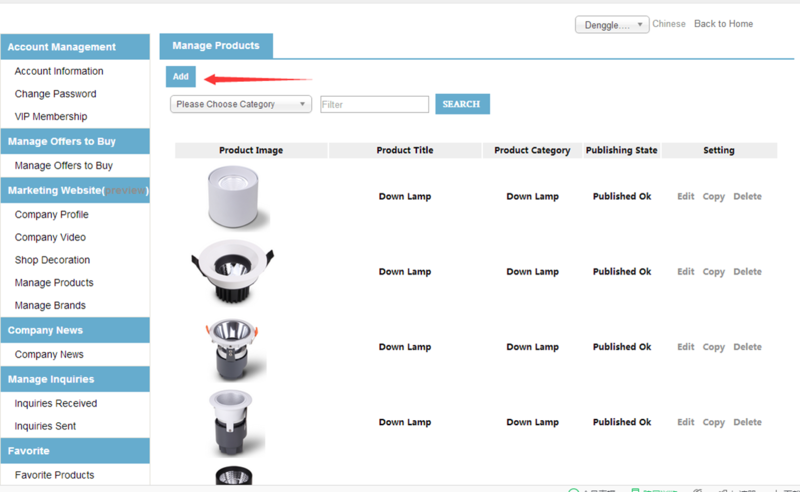 Click on the "Add" button to upload products again, and modifying or deleting existing products should be operated on the right of each product. Notice：Every newly uploaded or modified products needs to be verified first and then displayed in the stores. Click on the "Add" button and then enter the new product edition page. the blanks with * are required. 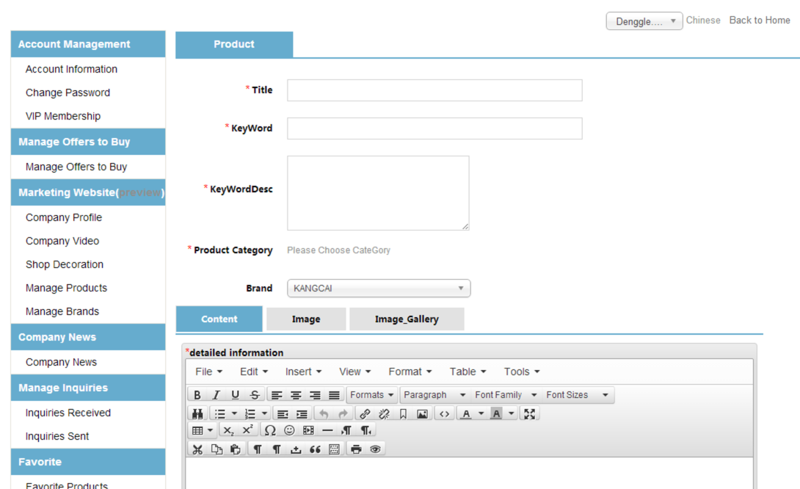 Title, Metakey （keyword）, Metadesc（description）, product Category and detailed information need to filled. 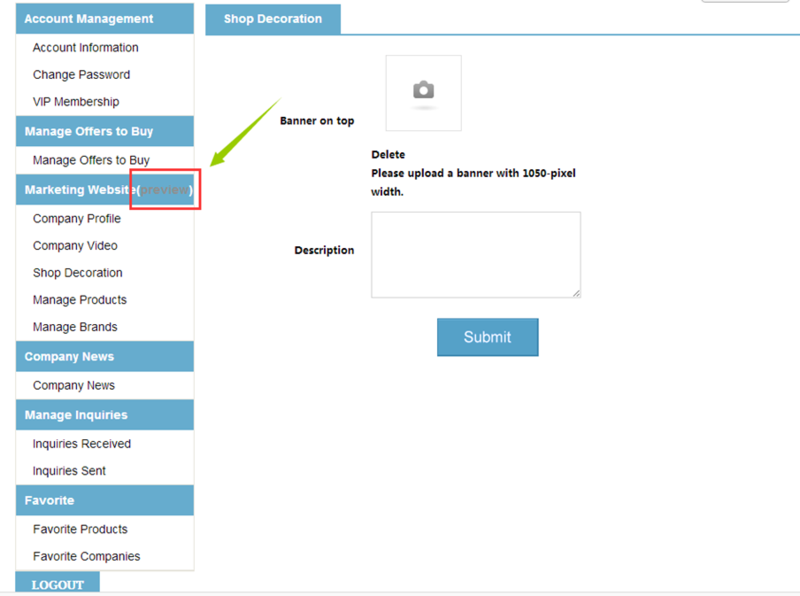 Besides, tables and other tings can be inserted on the edit box of “detailed information”, the picture uploaded on the” Image "interface should be the preferred product to display , and other product pictures can be complemented in “Image Gallery”. You can add / edit / delete news here. Click "ADD COMPANY NEWS" button, and then you can edit news and upload pictures here. Note: the news will not be released until confirmed by customer service. 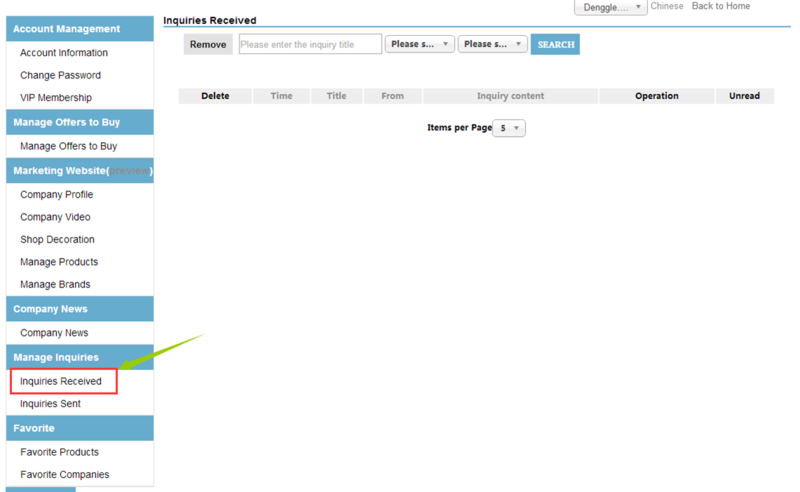 Manage Inquiries on this interface. “Inquiries received” which is about buyers’ inquiries to your business can be operated with your respondence and other operations. “Inquiries sent “sends out inquiries for shop owners and these inquiries can be managed in a unified way here. If you want to know in advance the store rendering during the editing process, you can click the "Preview" next the storefront , and when it automatically jumps to the store home, you can see the shop on display here.